As busy moms, we all have the most random and sometimes unexpected mix of must have to carry on with our day, from beauty essentials to any little thing that can keep our kids entertained. 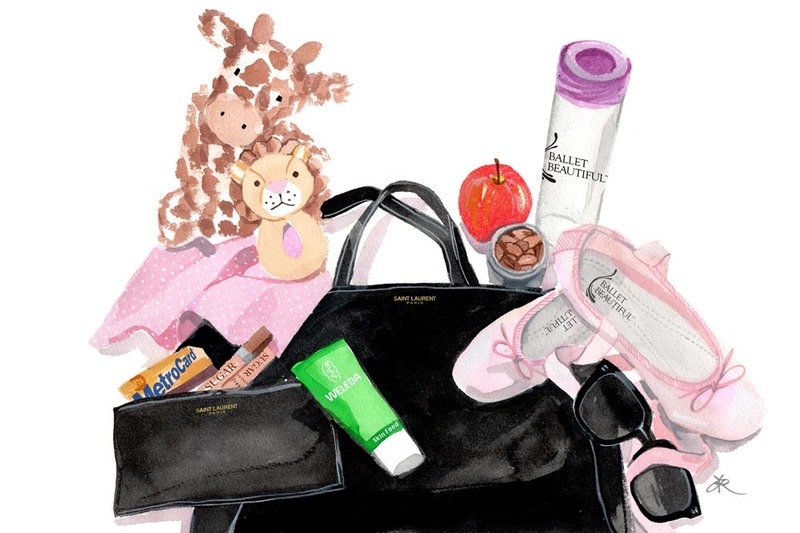 Today, professional ballet dancer and entrepreneur Mary Helen Bowers shares her mommy “survival” essentials. Ballet Beautiful pink satin slippers with ribbon (available on www.balletbeautiful.com). I’m always in between a workout and these are light to carry and ultra chic! Lumina’s favorite stuffed giraffe and lion rattle. Pink and white burpy – just in case! !